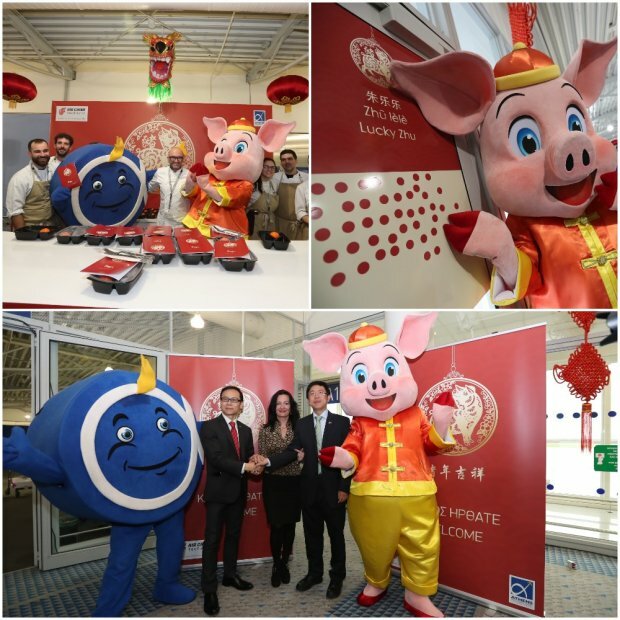 Chinese New Year at Athens airport! «Xīnnián kuàilè»! – Happy new year of the Pig! This festive period, we are welcoming our visitors from China, with many wishes and activities! Last Wednesday, prior to Air China’s Ath-Beijing departure, we held an event at the Gate, offering a taste of China’s culture, music, dance and flavours, while following the Chinese tradition, gifts were offered to all arriving and departing passengers.